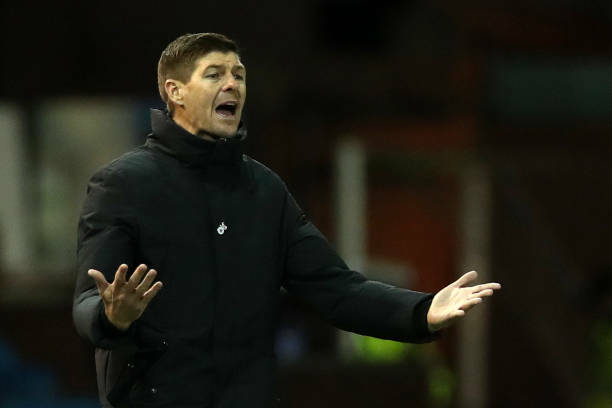 Rangers’ Assistant Manager Gives Update About This Loanee’s Situation: Worrying Sign For Gerrard? Ryan Kent has established himself as an integral member of the current Rangers team, and the winger has played a massive part in their recent resurgence under Steven Gerrard. However, the fact of the matter remains that the 22-year-old is still a Liverpool player and Rangers will have to dive into the transfer market to sign him permanently over the summer. Gerrard’s right-hand man, Gary McAllister recently talked about signing the winger permanently but didn’t exactly looked confident of pulling off a deal for him. He was quoted as saying (Daily Record), ”Ryan’s still a Liverpool player so it’s a decision for Liverpool, isn’t it? The Englishman has been crucial to Gerrard’s plans, and it was his outstanding display that allowed Rangers to end their losing streak against Celtic as they finally inflicted a defeat on their Old Firm rivals last year. Kent contribution in the goal was a major one as he went past his marker with ease and then had the composure to find Ryan Jack on the edge of the box who finished well. He has improved a lot over the past few months as Kent has the pace and trickery to go past the opposition defenders. However, playing regularly at the Ibrox has helped him in his decision making in the final third, and his finishing also seems to be improving with each game. Kent still has a long term contract at the Merseyside club and is set to stay at Anfield up until 2022 which indicates that the Reds still rate him highly and believe that he can be a crucial player for them within the next few years. Therefore Rangers might have to shell some top dollars to land him in the summer of 2019. The club would hope that Gerrard’s presence can do the trick in negotiating a good deal for the English winger who is almost irreplaceable in the current lineup. McAllister didn’t exactly sound confident about the possibility of signing him. However, the player himself has earlier claimed (Daily Mail) that he has thought about moving to Glasgow permanently. With Liverpool reaching new heights under Jurgen Klopp, Kent is likely to struggle to get a place in their lineup, and that might work in Rangers’ favour. However, it remains to be seen what would transpire in the summer once the loan spell of this talented winger expires. 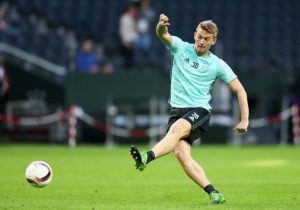 Leeds United Send Scouts To Keep An Eye On This Scottish Winger: One For The Future For Bielsa? Stoke City Launch Late Bid To Sign This Manchester City Star- Can He Improve Their Fortunes? 30 Y/O Real Madrid Striker Rejects Offers To Leave: Does He Have A Future At Santiago Bernabeu?